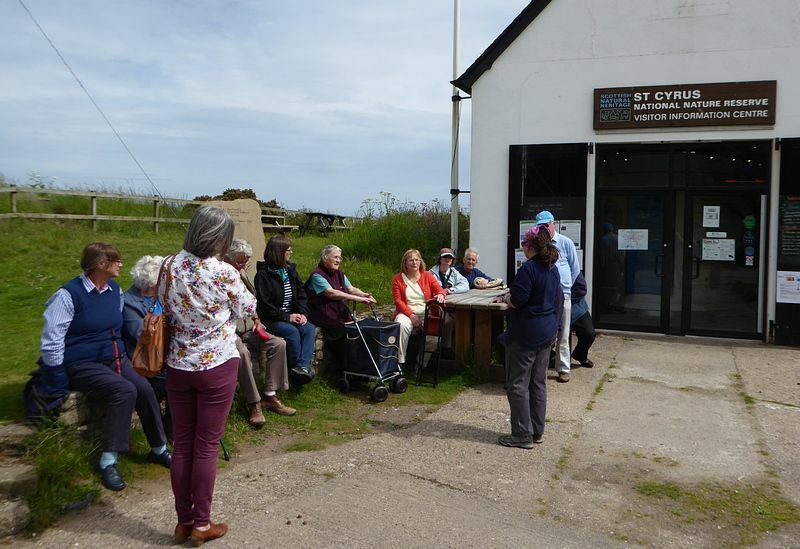 Members of the Howe O’ The Mearns Heritage Club visited the Scottish Natural Heritage Reserve at St Cyrus on Tuesday, succeeding to conjure up warm and sunny weather in this north east nook which boasts several species of wild flowers and insects more commonly found much further south. Therese Alampo, the manager, greeted the group and delivered a broad ranging informative talk covering both its human history as a centuries old salmon fishing station exporting produce as far as Venice and Paris, and more recently as the recognised home to a vast range of plants, insects and wildlife. Therese’s great enthusiasm and vast knowledge left even the experienced country dwellers feeling in need of fresh pairs of eyes to appreciate the details around us- often missed completely – even at the more leisurely pace set by the senior citizen. 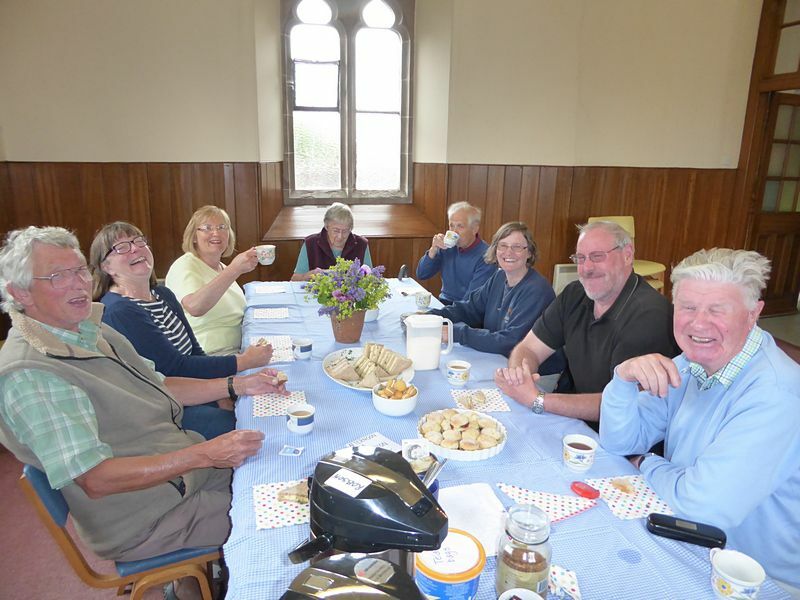 The photographs below show the group being addressed by Therese and afterwards enjoying a chat over afternoon tea.